BREAKING: SJ SURYAH TO ACT IN SAROJA 2! Venkat Prabhu's successful thriller comedy venture Saroja might apparently have a sequel now. However, it is said that Venkat Prabhu will not be wielding the director’s hat this time but his protégé AJS Kantha Priyan will. Samaran would be in charge of story and screenplay department for this film. According to our sources, SJ Suryah is expected to play the lead role in Saroja 2. Along with him, Premgi Amaran and VTV Ganesh will supposedly be seen playing pivotal roles in the film. Yuvan Shankar Raja is likely to compose the songs for this sequel too while Praveen KL would be working on the cuts. Hot: Hari to direct Saamy 2 with Vikram! SJ Suryah May Helm Pawan Kalyan's Next? 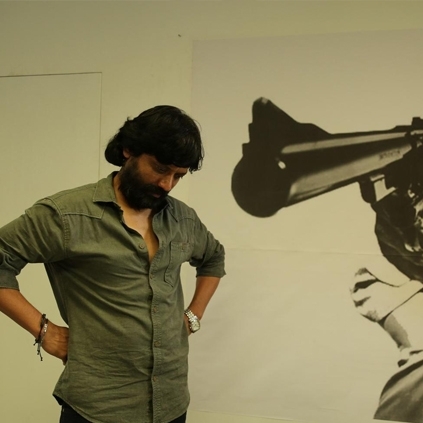 Director Selvaraghavan To Direct SJ Suryah For Gautham Menon's Production House. SJ Suryah To Produce And Act In A Film Titled 174. SJ Suryah To Direct Ilayathalapathy After Vijay 59? People looking for online information on Saroja 2, Sj suryah will find this news story useful.